After trailing by four goals at half time, the Massachusetts women’s lacrosse team staged a second half comeback, tallying it’s fifth win of the season in it’s 22-17 victory over Harvard. The victory followed a first half where the Minutewomen (5-3) were outscored 11-7 by Harvard, including a run of six unanswered goals for the Crimson (3-4). However, in the second half, UMass was able to outscore Harvard 15-6 to lead them to the victory. UMass built an early 4-1 lead, before the Crimson tallied six unanswered goals midway through the first half. Despite efforts to pull the score closer, the Minutewomen had no answer for Crimson forward Julia Glynn, who finished with seven goals including four in the first half. Entering the second half, the Minutewomen knew changes were needed if they wanted to come back. Turner stressed energy as the reason for the second half change. Turner tallied a team-high seven points, including five goals in the high-scoring affair. Her final goal of the game occurred on a free position opportunity with 2:55 remaining in the game, after she absorbed a heavy hit in the critical scoring area. To start the second half, Harvard tallied another goal on a man-up opportunity to push the lead to 12-7. However, UMass wasn’t giving up yet. After an impressive open net save by UMass defenseman Caroline Wyse, momentum swung its way. The Minutewomen rallied for an 8-1 run to pull ahead 15-13. Feeding from the offensive energy, the UMass defense began playing a more energized game as well. Big plays from Wyse and Stephanie Croke held the Crimson to just six goals in the second half. The Crimson attempted to quell the UMass scoring barrage in the second half, pulling to as close as one goal. However, the Minutewomen offense was too prominent to stop, as they continued their offensive bombardment, scoring four goals in the last three minutes of the game to seal the victory. 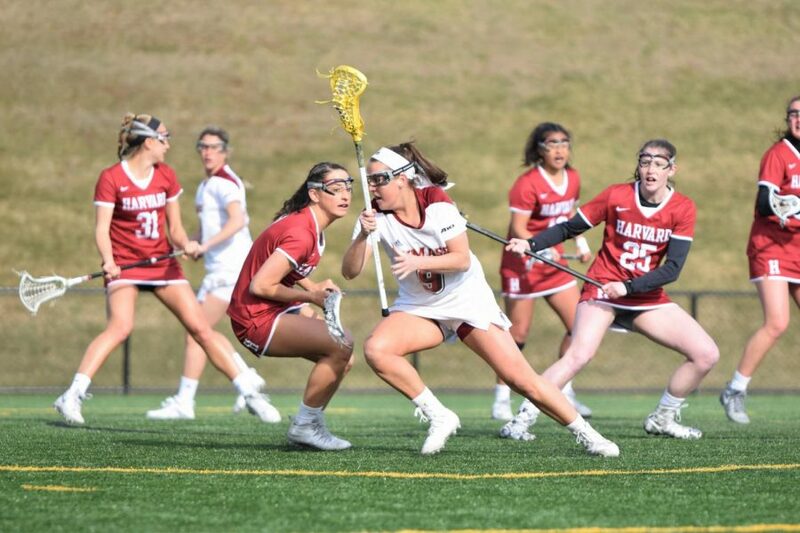 Though Turner is one of the usual offensive contributors for UMass, the Minutewomen were helped out by the effort of Hannah Palau, who scored her first three goals of the season. Additionally, Croke, Hannah Burnett, Kaitlyn Cerasi and Cassidy Doster scored multiple goals for the Minutewomen. Heading into Atlantic 10 conference play next week, the Minutewomen are looking forward to building off the confidence created in this one. Minutewomen will take on Saint Joseph’s next Thursday in Philadelphia to kickoff conference play.